This hole isn’t as hard as it might initially appear once you learn how to go over the top straight at the green. A high 6W straight at the green clears the trees easily, and a high 5 is okay over or around the left side of the tree line. Rarely you can carry a high 7/8W at it as well. There’s trouble in front with the water, so long is the best place to miss! 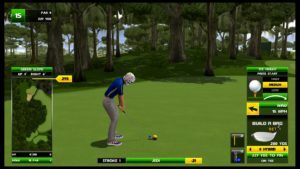 The best play is usually to one of the islands straight ahead, big and short-left of 311 cursor, with an appropriate wood for the distance. The safest play is definitely the one that looks easiest to stick, regardless of the wind or pin placement. Or, just dial in the same island each time so you know how to stick it with practice. Here’s a 3-hybrid hole-out. 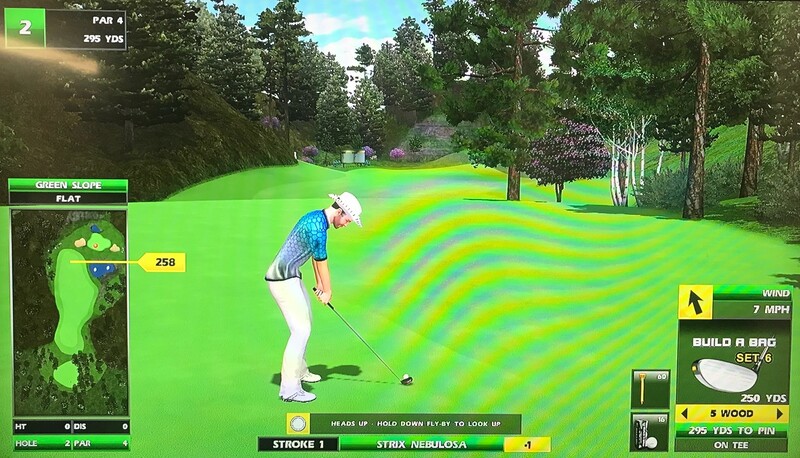 A second look is the fairway to the right. 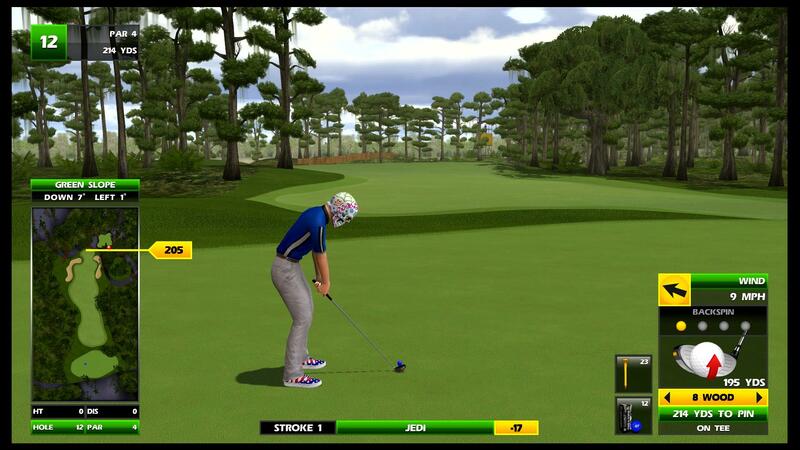 From the very end, you can have a straight look, but you may also have to curve around the trees for your approach. From the right box, this is a much easier shot, even perhaps a thumby at the green with a 4-6 wood. 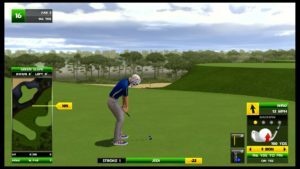 From the left box, you need a cut shot around the right side into the green…this can be anywhere from a 4W with backspin to a high-teed 6W. 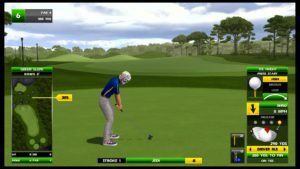 Definitely use backspin with a tailwind to stick the green, and use a high tee with a headwind to come in higher and straighter. Here’s a great 5W with backspin that cuts back into the cup. This par 4 is sometimes drivable, but sometimes shut down from the back box. There are 3 tee boxes, and the first two are always there either straight at the green or using a C3 shot. From the front-left box, here’s a driver straight at it for the ace. From the back box, you need a great tailwind to consider it. But alas, if it’s just not there, pick the best spot to lay up with the wind for your approach. 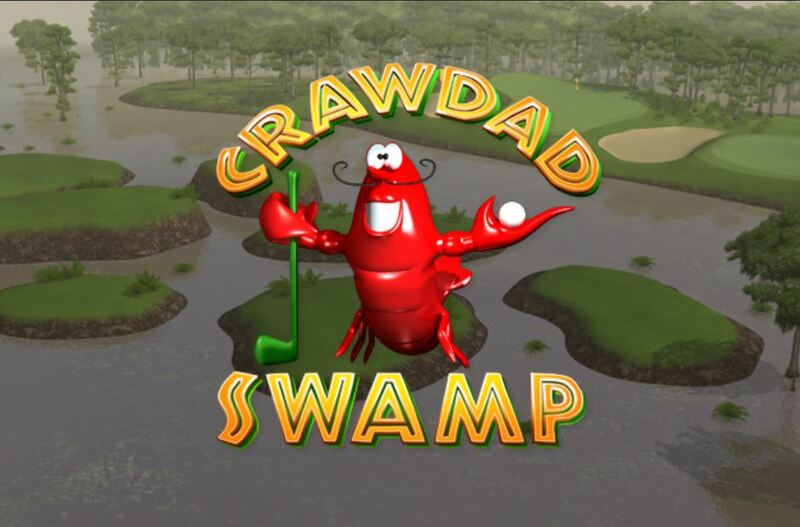 With this par 5, you’re always aiming for the middle or left-half of the center of the fairway, about 340 yards out. There’s a mound there and sitting on it gives you a nice open approach through the trees at the green. If you’re too far right or too short/long, you’ll have to curve a trickier shot into the green. 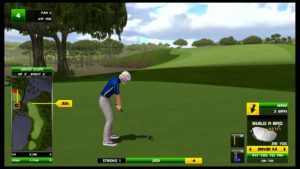 Practice will help you learn the right fairway spot off the tee! Here’s a nice 5-wood hole-out easily straight over the trees. 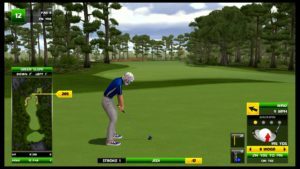 There might be two different greens here; the one shown here is flat, but there’s another where you have a right 6 slope coming into it. We can update this description after confirming with more practice rounds! From a front-right box, this 9-iron finds the cup. Nothing much more to do here than put your drive at the end of the fairway for a nice wood into the green. The rough islands could also be an option if it helps you line up the wind with the pin. 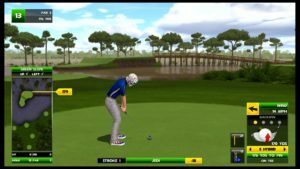 This hole is always drivable, but it can be very easy to very difficult. 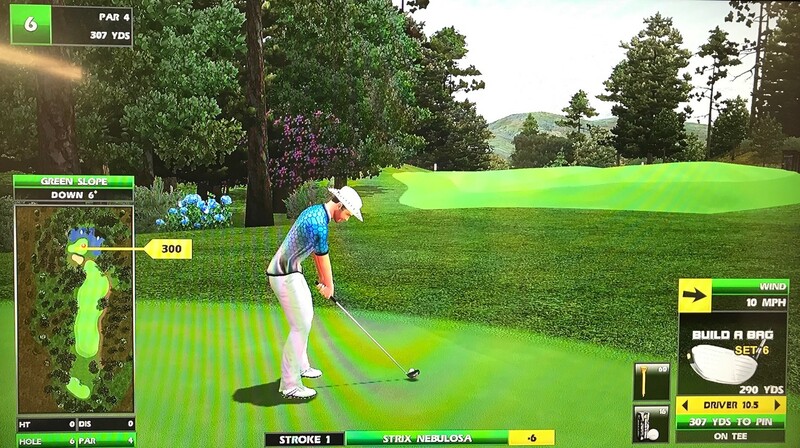 Read the wind and move your tee around to find the best setup. The first type of shot is a high 5W or 6W over a gap between the trees that you can see by looking up. 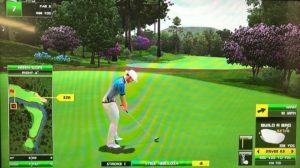 The second type of shot is a medium 3W with backspin, under the first set of trees and then over the second set of trees by the green. 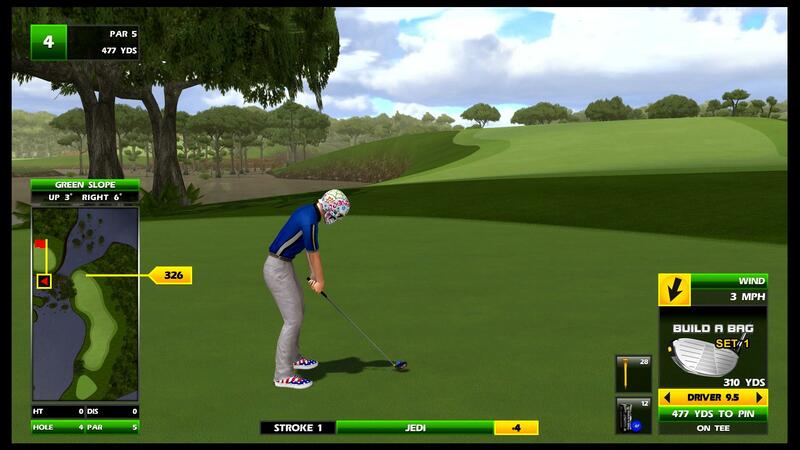 With a right pin, this low-teed 4-wood goes under the first tree and clears easily to the green to find the hole. 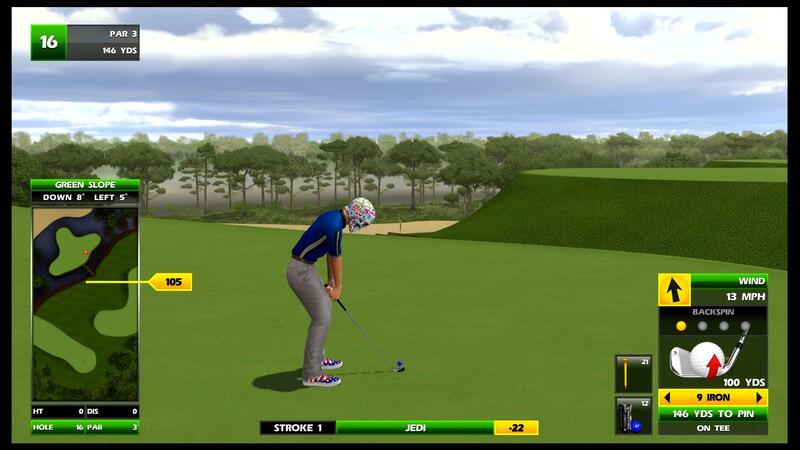 There are 3 areas being used here, and I’m considering this hole not always drivable due to some of the setups. 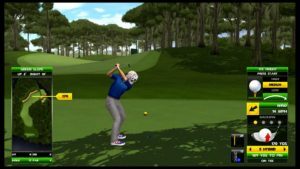 From the screen-shot above, you’re too far right to play an A1 around the left side, so use a tee and slide to the front right. 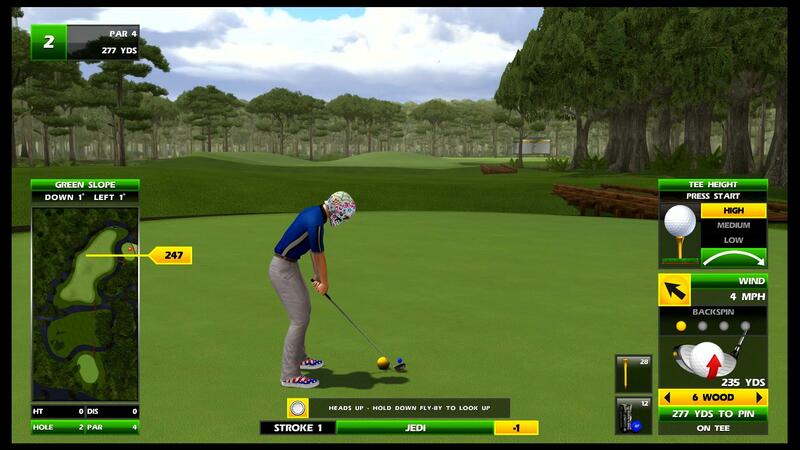 Turn a bit right of the green and play a driver high tee C3 to get close to the green if not there. From the front left, there are trees, but if you move your tee left to hit an A1 towards green with either driver, you can get there…here’s a medium-teed driver that bounces up into the cup. From the far back box, slide to the back left and hope for a good wind…you’re playing an A1-type shot with a high driver again towards the green. 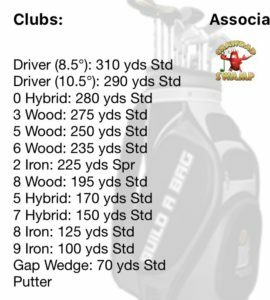 The most common clubs for the approach here are the 6-wood through 8-wood. 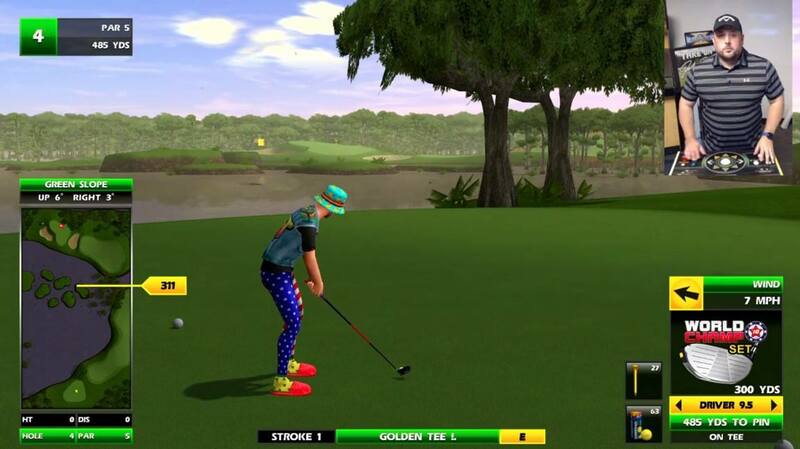 You need to carry the tree that overhangs the green, and this can be tricky if the pin is in the front. 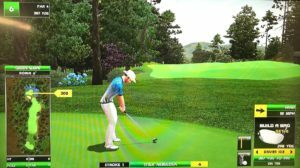 Use backspin to hold the green with a tailwind, or anything but a headwind, which would allow you to play more loft with a high tee to clear that tree more easily. This one can be a bit tricky because of the 5 tee boxes and two-tiered green, with water all around. This hole is sometimes drivable, especially from the front box and/or with a helping wind. 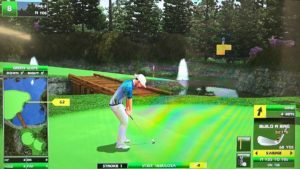 You can try to take aim at it through the trees, or you can also choose an A1 or C3 shot too which would take the water out of play (but bring the trees back into play). 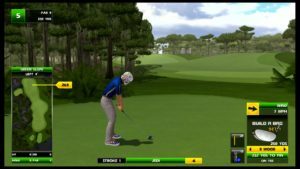 Experiment with what works best for you on these drivable setups, but otherwise lay back enough to have a lofted club over the trees for your approach! The easier tee box is further from the green on the right side. 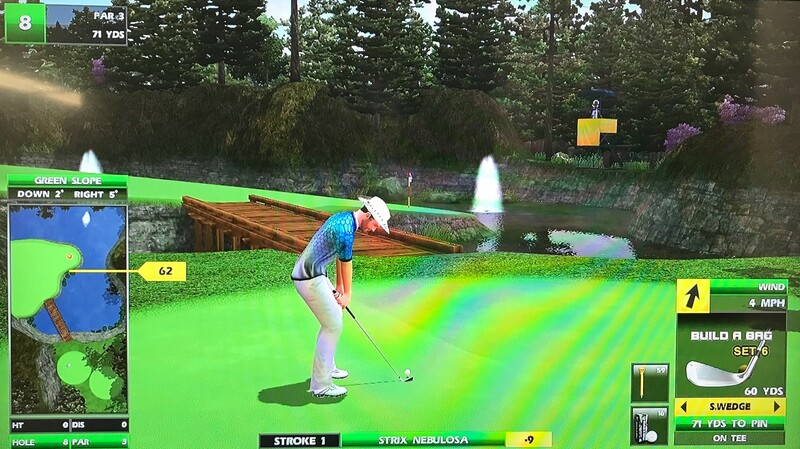 If you’re on the left side of this box, use a high tee and wrap it around the right side of the trees into the green. From the right side of this box, it might just be straight over with a high 6W at the green. By far, the tougher box is front-left, which can be anything from a 9H to an 8.5 driver. 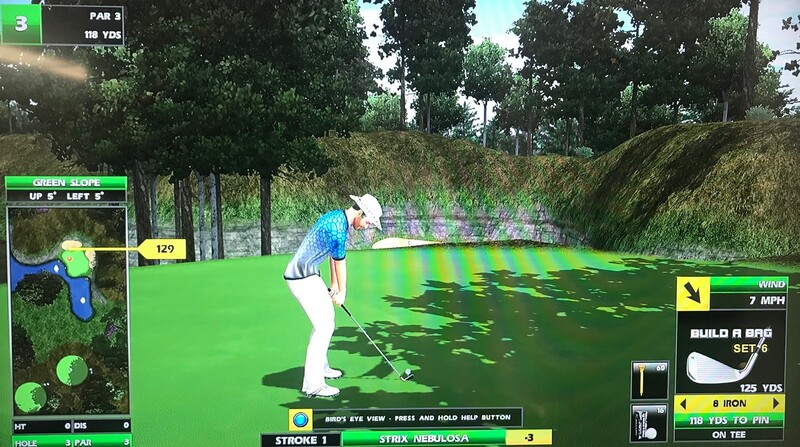 From the left 2/3 of the box, consider cutting a low-teed 0H through the trees…find a gap and try to hop through the bunker if needed onto the green. Just remember that there is a stream of water short! This 0H was cut down perfectly through the trees to find a back pin. This 1-bird clips the tree but amazingly rolls up out of the sand into the cup! 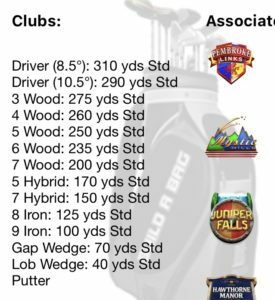 You can also cut down an 8.5 driver and clip a tree on purpose, but those trees also have branches that can knock it down. From the left box, here’s an incredible low-teed driver that catches the tree to slow it just enough on its way to the cup! 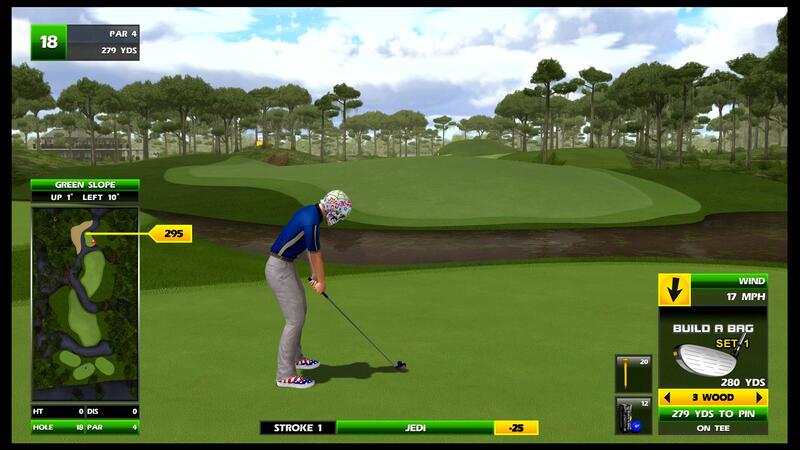 If you’re all the way at the back-left, you can turn left two times and play a high 8W at the green through a gap. 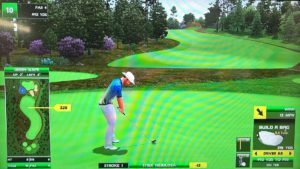 If there’s a left wind, you can turn right and play a high 8W C3 shot to green. 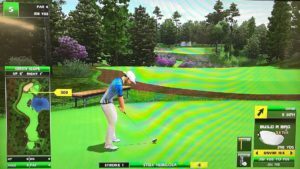 From the front-third of the box, you can still play a 0H through the trees, but you can also play high-lofted, high-teed hybrids such as the 7H or 9H by turning right and playing a C3 shot into the green. This can be a terribly difficult eagle with a lot of setups. If the distance sets up right, an 8W could be the play. With a headwind, a high 8W over the trees is a good play. 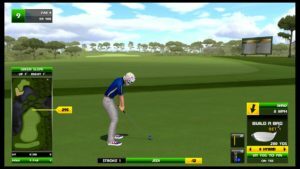 With a tailwind, if the distance is okay, use a standard 8W with backspin. It’s good to try to use the 8W if you can just because the loft is so handy. 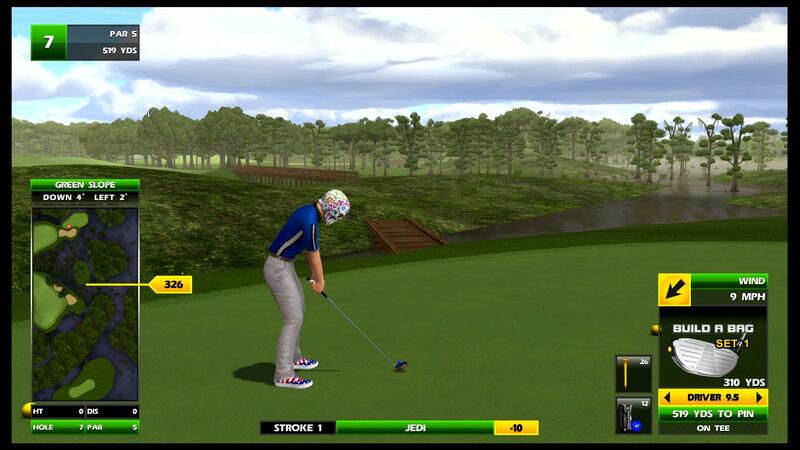 From the back-center, here’s a great medium-teed 8W with backspin that finds the hole. 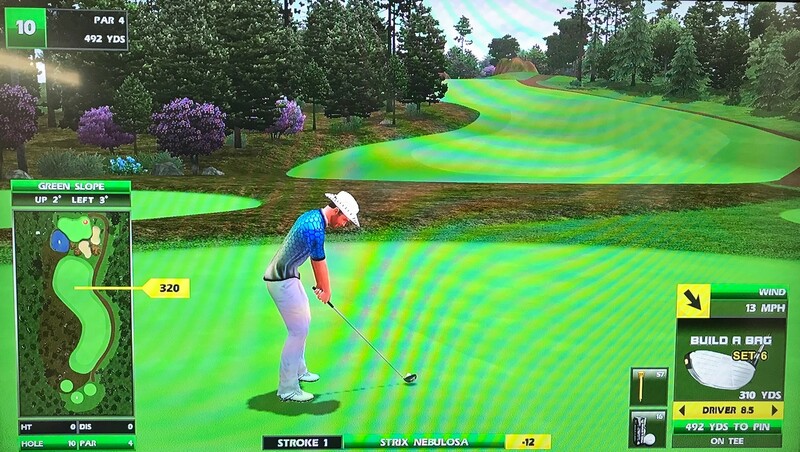 If you play a 9W, that can be great here too — here’s an ace from the left of the box. For other distances, you can apply the same concepts with a 5H or 7H. 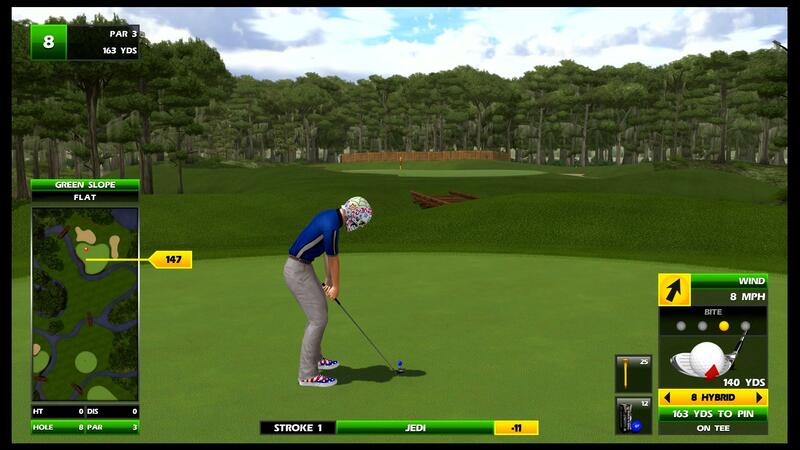 For example, with a tailwind from the left part of the box, a 7H with backspin is a good play. 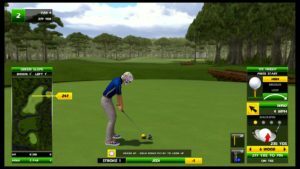 With a headwind, this high-teed 6W was a great play to find the cup. 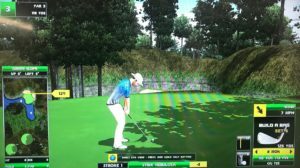 Don’t forget about trying to use the fairway to bounce down if you don’t have the loft to clear the trees. Something like a spinny 2I curled around could be an example of that, as well as the 5H. There is a fairly-forgiving hill on the right you can use to settle onto green most of time, making this not the worst closing hole. 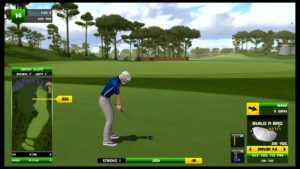 Still, setups with a strong left wind are quite challenging and might have you rotate left once to play an A2-type shot to cut into the wind at the green. From the right box with a nice right wind, this 3-wood with bite settles into a back pin. Here’s the recommended club set from GTF, while the recommended balls are Grabbers. 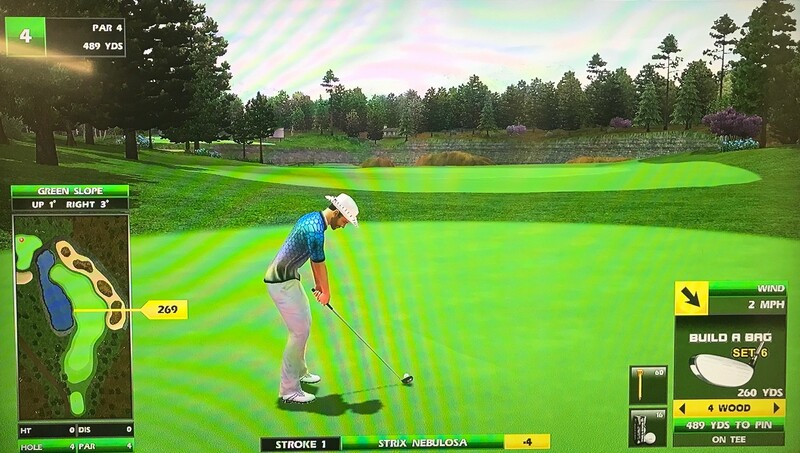 Some players are using Streaks which can help on #1 and potentially others, but I feel there’s more value having backspin on other holes where you need to stick the green because of downslopes or surrounding water. 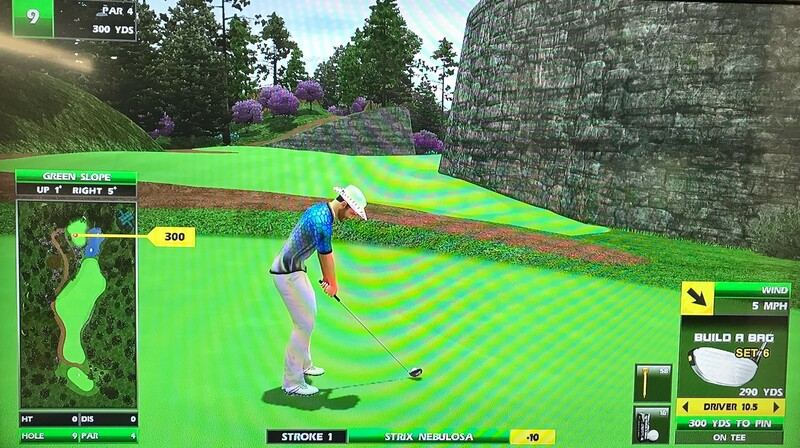 This hole is sometimes drivable, especially if you’re a big hitter playing Streaks. But even with other balls, you can often get close to the green for a chip at eagle. Check out this huge C3 that finds the hole off the tee! Here’s another big drive straight at it with the Streaks. Here you’ll be tucked slightly behind a tree, so it’s useful to use a tee to slide left. 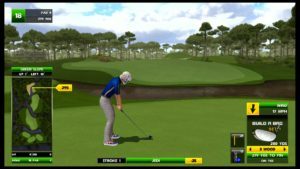 You’ll need a bit more club to make sure you carry the hill in front of the green, but assuming you do that, it’s a flat putt for eagle. 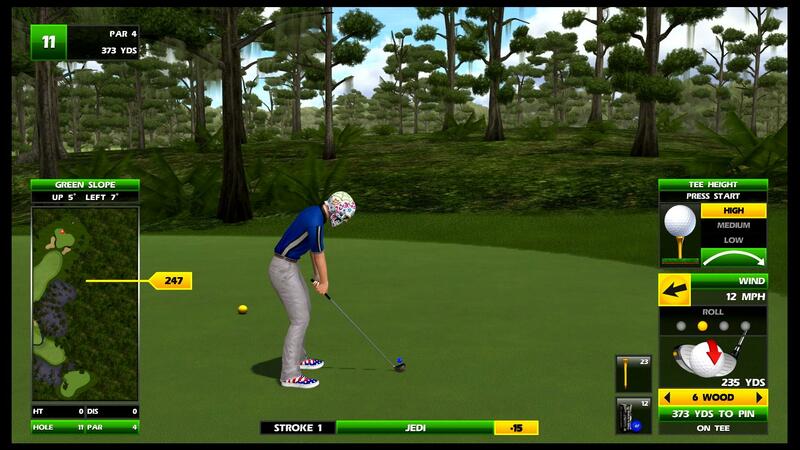 Here’s a driver curled around the left side that bounces up onto the green and into the hole! This is one of the tougher par 3s you’ll find anywhere in the first three holes. 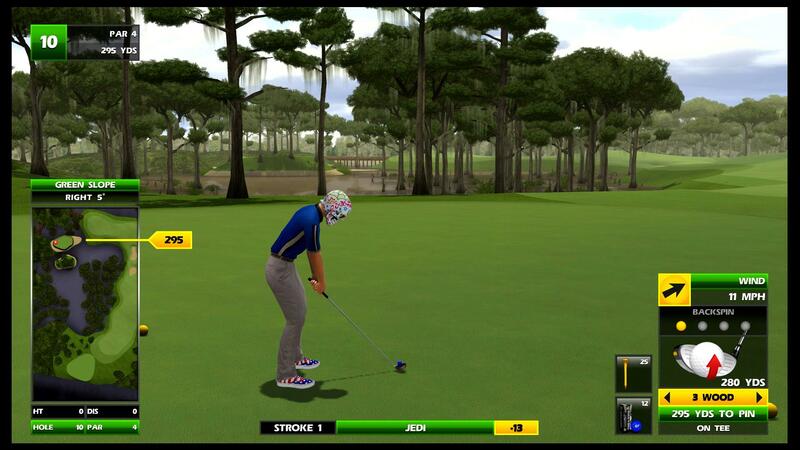 The left trees are in play, and there’s a good amount of wind and green slope to tackle. 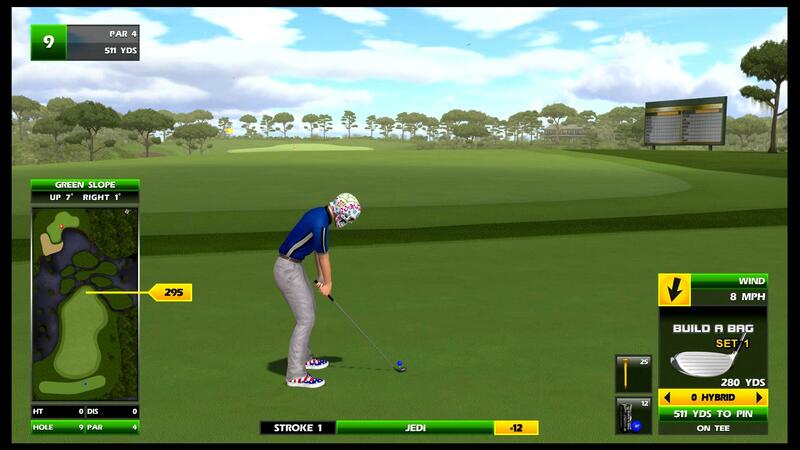 Add in a high-lofted club and this will test your shot-shaping skills! From the front box, here’s a nice 8-iron dunk. And here’s a 9-hybrid punched over the top to that same left pin. From the back box, this 5-hybrid settles into the cup. 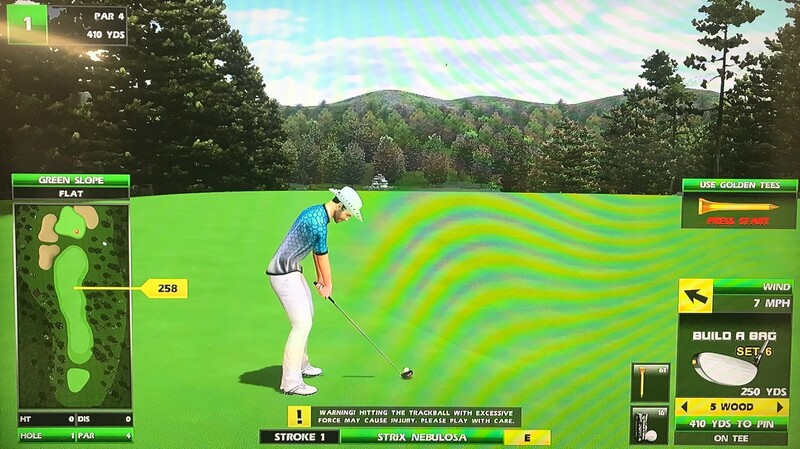 Nothing much to think about off the tee here unless you have a preferred distance for your approach, which is slightly uphill into a large green. 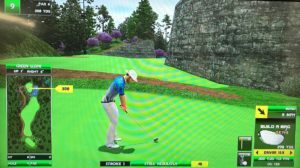 This is usually a 3W or driver and whether or not you use a tee depends on the wind…the two-tiered green of course makes this tricky, especially if you need to carry to the top tier. Here’s a nice driver with bite that hops up to a pin on the upper tier. 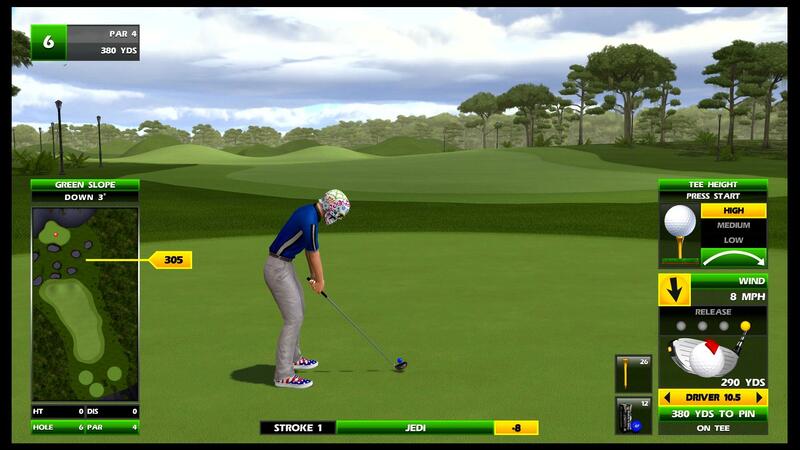 From the left of the box, here’s a 3W with backspin to a left pin on the lower tier. A high tee is fine even with a cross-wind here even though it’s a down-6 green. I like to try to line up as straight as I can with the green and just play a small hook. Here’s a high-teed 3W that hugs the left side for the dunk. You might opt to play it out right more with a tailwind if you need backspin to hold the green, as you won’t be flying directly over the trees. Here’s a driver with bite cut around the right side that finds the hole! 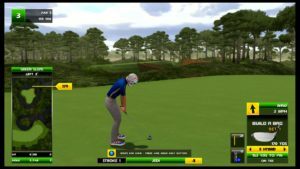 It takes a while to comfortably nail the distance off the tee here, which is almost always a C3-type shot with a wood. You can’t be short because of the water but you can’t be long because the fairway falls off and you’ll have to lay up. Practice finding the right club and tee height with the conditions and use backspin to hold your curve in the fairway. From the fairway, this 5-wood spins back to a front pin. 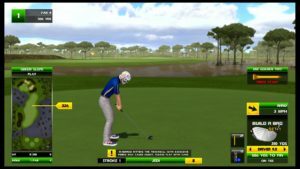 You’ll see many different looks on this short hole but they are all pretty manageable, even if you have a gap in your club distances…just tee it high or low to account for that. 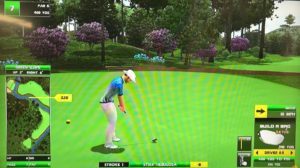 Stay safe towards the center of the green if needed for your birdie putt. From the front box, here’s a nice SW with bite punched over to a right pin. And this one spins back to a front-left pin. 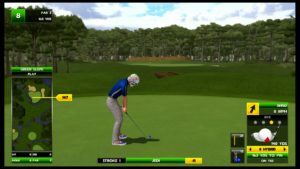 Even with tough winds, you’re always able to work a high-teed wood onto the green here…just picture your shot around the left of the rocky hill to start and then stay to the right of the trees by the green. 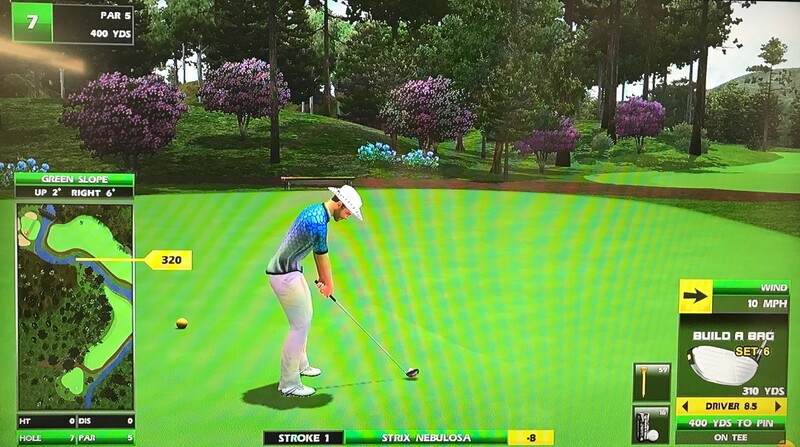 From the front-left of the box, here’s a high-teed 5W over the top to a left pin. 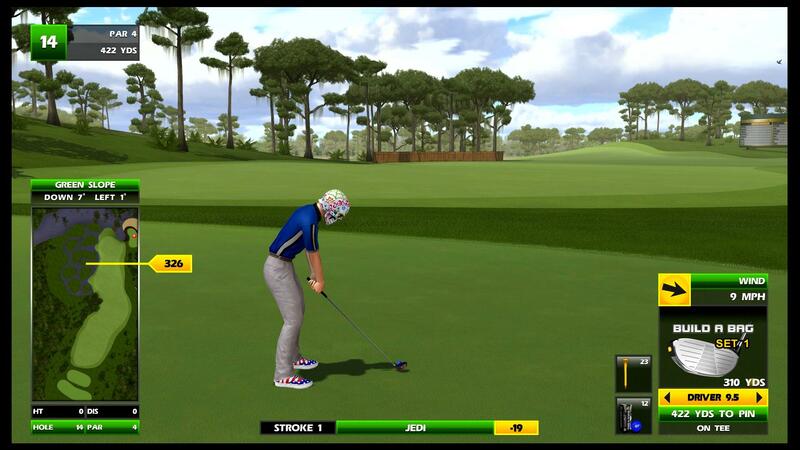 And here’s a driver that stays low through the gap to find the hole. You may sometimes catch a ramp on this hole to propel your ball up towards the green — this one settled in the front sand. But otherwise it’s just a fairway layup anywhere for a lofted approach into the green. Here’s a hole-out from the end of the fairway.